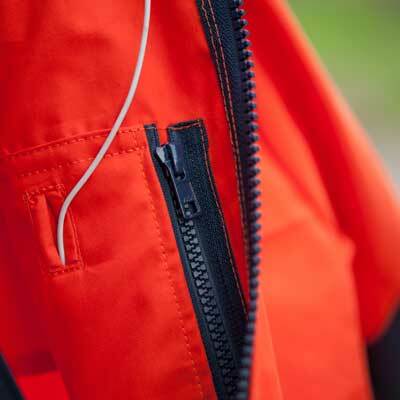 Outerwear weather protection accessories designed to be practical, durable and hard-wearing. Long cuffed Mitts and a choice of Gaiters made from Ventile® - an entirely natural, windproof fabric offering comfort, high breathability and quiet, low rustle performance. With options to customise to your exact requirements, our products are hand-made to order in our Royal Deeside workshop. Easy to fit, hard-wearing, breathable gaiters with zip and Velcro flap. A tough, breathable overmitt to keep the elements at bay.